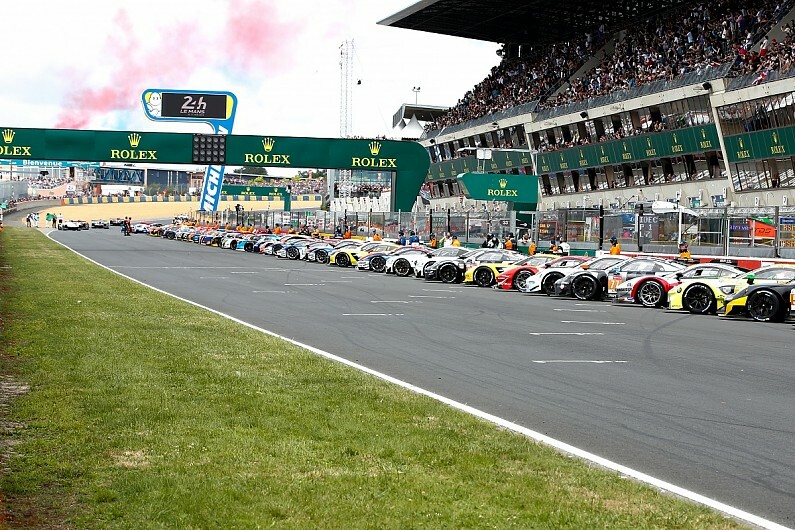 The Le Mans 24 Hours grid will be increased to 62 cars for this year's race with the addition of an extra pair of pitboxes. The High Class Racing and United Autosport LMP2 entries in first and second places on the reserve list will now take part in the race. Le Mans organiser the Automobile Club de l'Ouest decided to build two temporary garages at the start of the pitlane in time for this year's World Endurance Championship finale on June 15/16. ACO president Pierre Fillon said: "In February, the selection committee faced a harder task than it has in many years. "There were 75 applications - all of a high standard - and it was particularly difficult to choose 60, only 60 of them should I say. He added that the ACO was "overjoyed" to be able to accept the biggest ever field in the history of the race. The ACO is also looking at a more permanent solution to expanding the grid. This is understood to involve the redevelopment of the far end of the pitlane, where semi-permanent boxes have gradually increased the capacity of the grid for Le Mans since the present 48-car pit complex was built for the 1991 race. The Danish High Class squad, a regular in the European Le Mans Series, has entered a ORECA 07-Gibson for what will be its Le Mans debut under its own name. Fellow ELMS regulars United Autosports gained its first Le Mans entry for its victory in last winter's Asian Le Mans Series and hit out at the ACO after failing to land a firm second entry. The line-up in its second Ligier-Gibson JSP217 includes prototype regular Alex Brundle.